So, apparently the world runs on photos. Friends on Snapchat, friends posting on Facebook, Instagrammers... lots of people always taking a photo. We have a really good one at our fingertips most of the time. But sometimes it's a pain to take it out. Like when I'm biking and I think there's a good shot of some deer, or I'm hiking on a trail, but I put the phone in a pocket, in a container to protect it from banging or getting wet. It's a few instances, but wouldn't it be easier to have a camera that was always with you and was a little more resilient? Welcome to the wearable camera sector. So it looks like a regular body camera except that there's going to be a rotating head so you can adjust the angle, or set it down and short forward versus standing up. The other neat thing is that it looks like it's going to have a whack of accessories (clips and stands but also a battery pack or headsets). Why we're interested here at the site is because there's an app, which you can connect to with your phone and then use it to control the device or stream it through Facebook or Youtube Live. That's pretty neat, so then you don't have to worry about holding some selfie stick or gimbal etc... if you're doing something fun, just go really hands-free. So, prety neat stuff. You interested in grabbing a good deal? With VENTURE and all of its accessories, the options for photo and video capturing (120-degree Wide Angle lens with no fisheye effect) and sharing are endless. 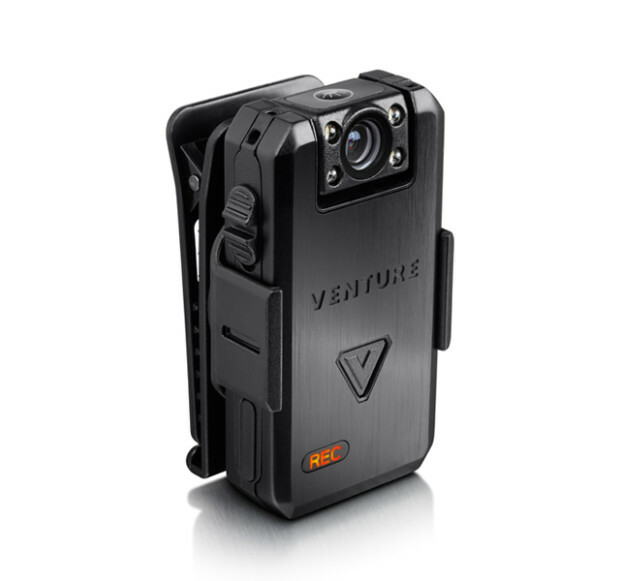 VENTURE, which is made of aircraft-grade aluminum and lightweight at 2.2 ounces, can be combined with additional Point of View (POV) cameras (Eye Vision, Covert Pinhole Button, Night Vision and Headset), allowing the audience to have the same perspective of the user, which is key in recording either sensitive material or exciting “in-the-moment” activities such as motorcycle riding, mountain biking, snowboarding, etc. When one of the secondary POV cameras is connected to the VENTURE, the unit’s proprietary Critical Reconnect Technology™ prevents any missed footage if the 2nd camera’s connection to the VENTURE is lost - recording will continue, never missing a beat.